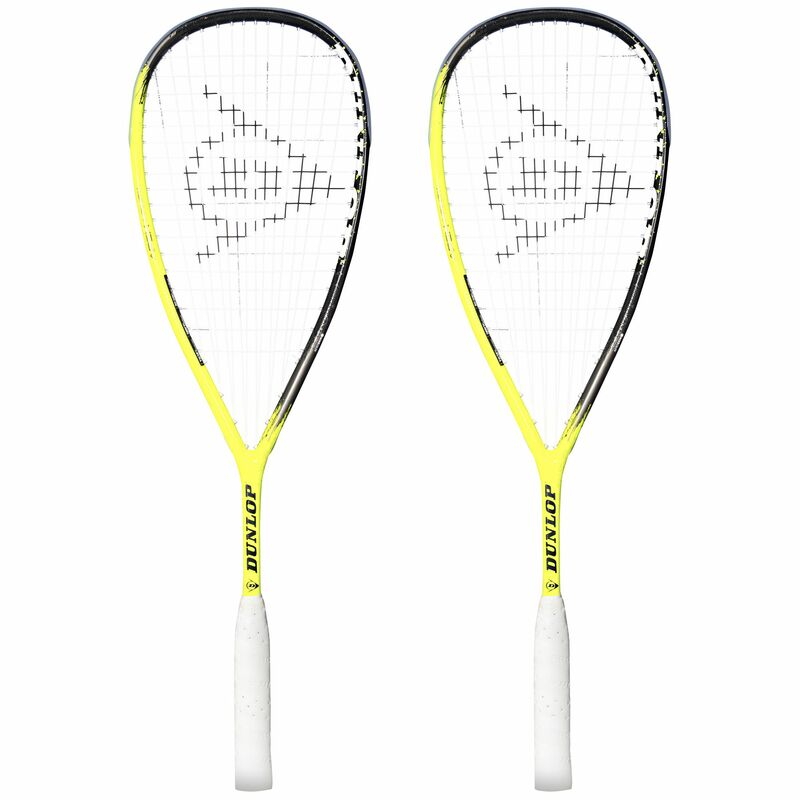 This is a double pack containing two Dunlop Apex Infinity squash rackets that have a 77.5in2 (500cm2) head for generating good power behind your strokes. The racquets feature Aeroskin technology that makes them more aerodynamic and streamlined so you can swing faster through the air and hit with more power. It also improves manoeuvrability and control, which are further enhanced by the head light balance and the fairly light 115g (4oz) frame. 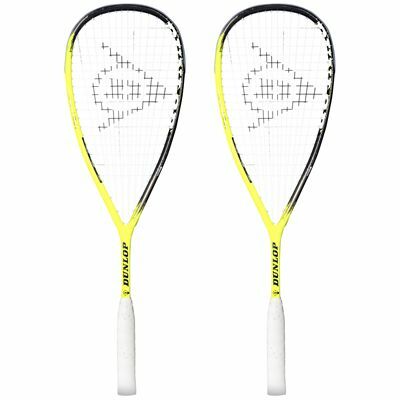 The rackets have a 14x18 PowerMax string pattern, strung with a Great White 17G string, and are made using HM6 Carbon. This gives the rackets a very strong yet light honeycomb structure that absorbs more impacts, smoothing and improving performance. Each racket comes with a full protective cover. for submitting product review about Dunlop Apex Infinity Squash Racket Double Pack.